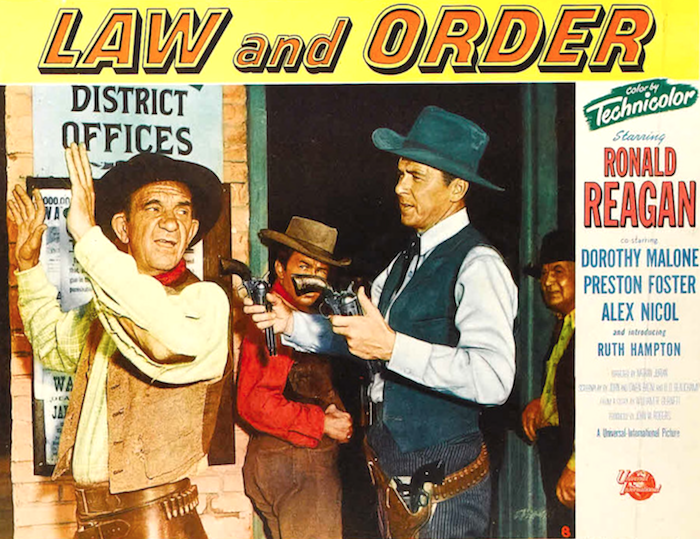 1953 | 50 Westerns From The 50s. 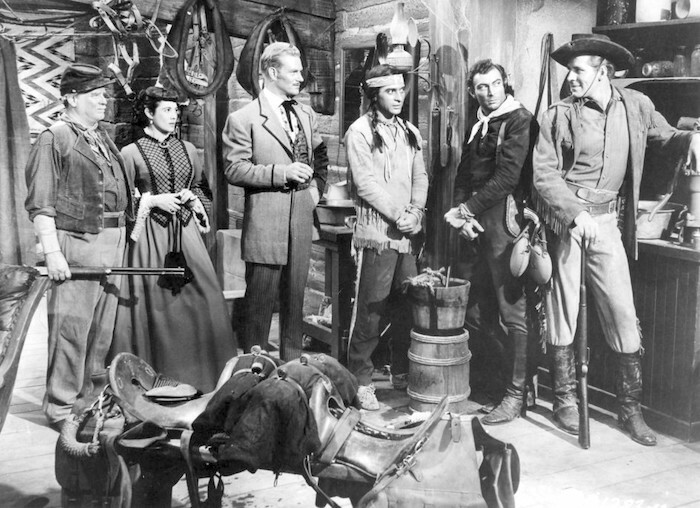 Of course, Randolph Scott rides tall around here. 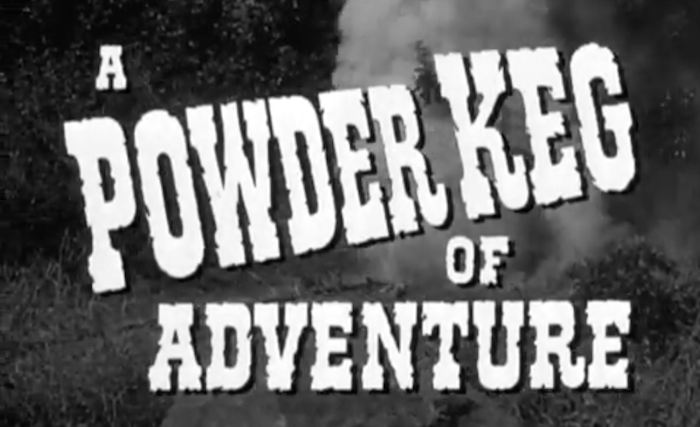 His run of Westerns in the 50s is maybe the strongest of the decade, from the six he did with Andre de Toth (which includes The Stranger Wore A Gun) to those written by Burt Kennedy and directed by Budd Boetticher. This would be a good night to watch one. 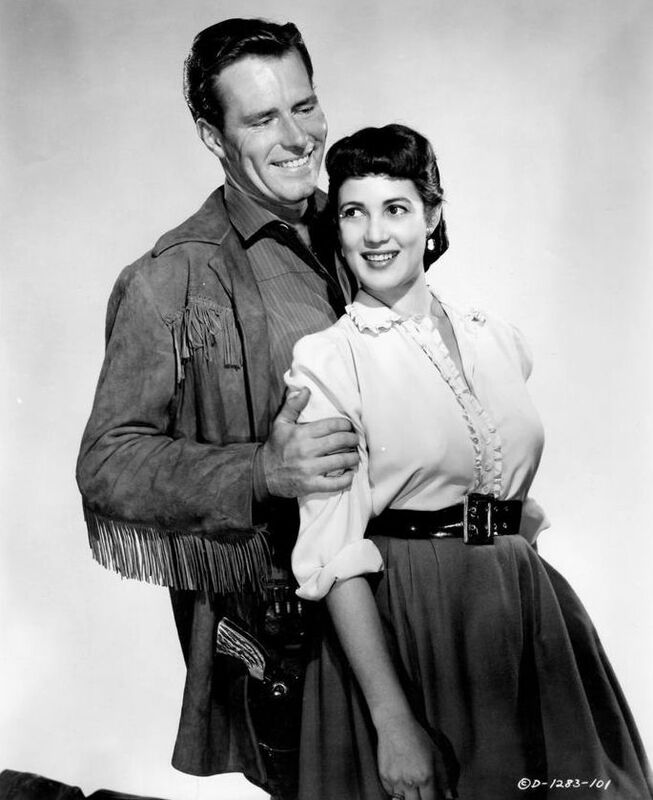 “Rehberger was a big Western fan. When he arrived in this country at age 13, his cousin took him to see his first movie. 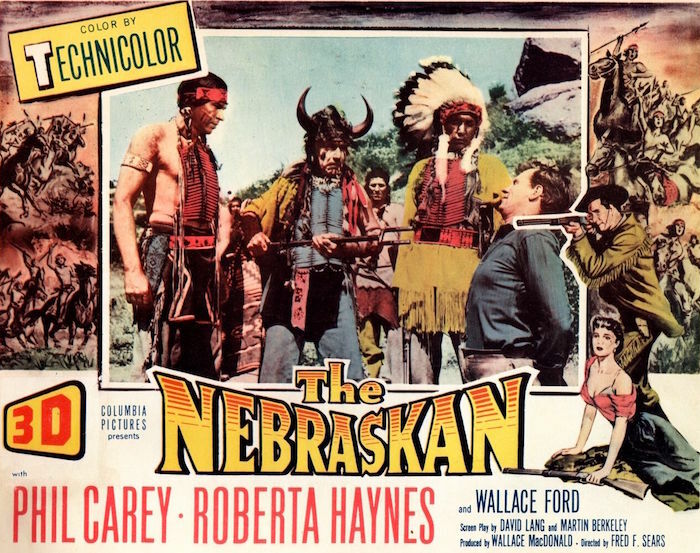 It was a Western with a big fight scene. He said he was never the same after it. His most favorite movie was Shane. He saw it dozens of times. We would run to see every Clint Eastwood movie. 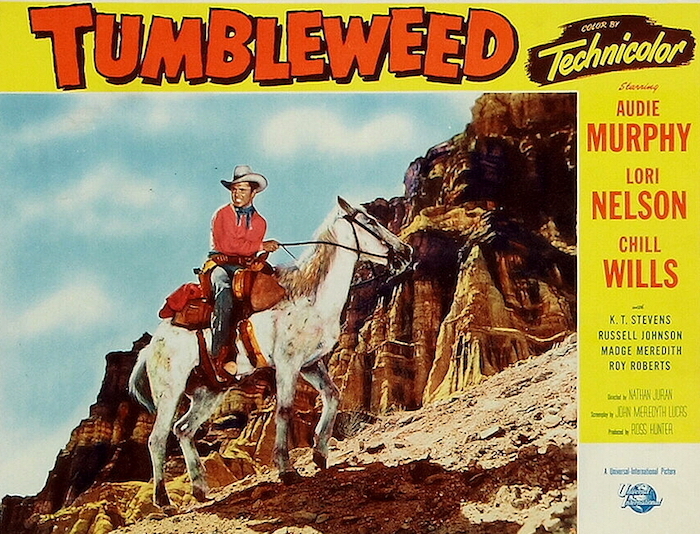 Tumbleweed (1953) is one of my favorite Audie Murphy movies. 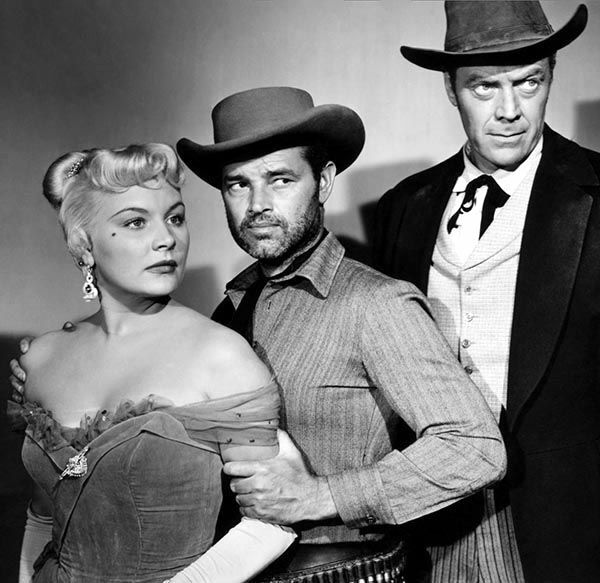 Once they got him figured out, Universal-International did a great job of developing pictures that played to Audie Murphy’s strengths. As his confidence grew, the movies just got better and better, leading to really good performances in things like Night Passage (1957) and No Name On The Bullet (1959). In this one, Audie’s a trail guide leading a small wagon train through Indian territory. When the Indians attack and almost everyone is killed (Lori Nelson and K.T. Stevens survive), Murphy’s branded a deserter and jailed. 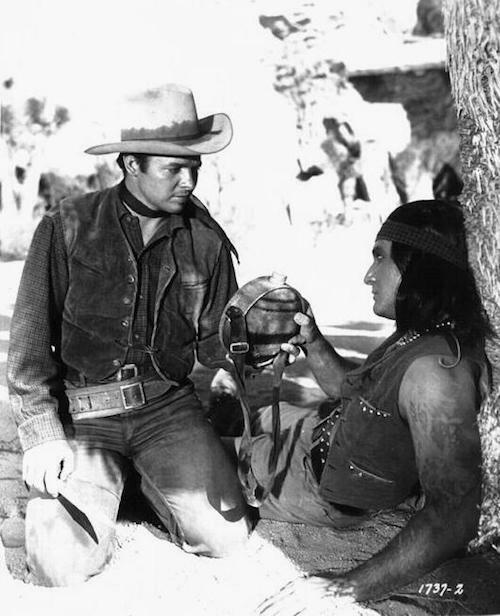 He’s sprung by Tigre (Eugene Iglesias), an Indian he befriends right after the credits, and pursued into the desert by a posse lead by Chill Wills. Along the way, he’s given a scraggly horse by a sympathetic rancher (Roy Roberts). 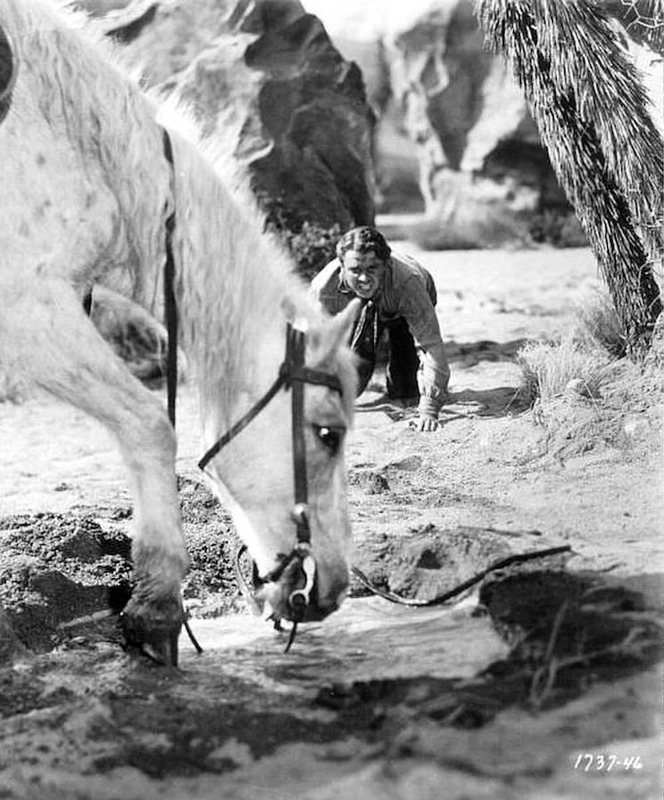 This is Tumbleweed, and Murphy’s relationship with the horse — Tumbleweed saves Murphy again and again — is one of the best things about the movie. In a way, you could say the horse saves the movie, too, since his place in the story helps it deviate from convention in some really terrific ways. And, as we all know, that really sets these movies apart, when they zig instead of zag like all the rest. 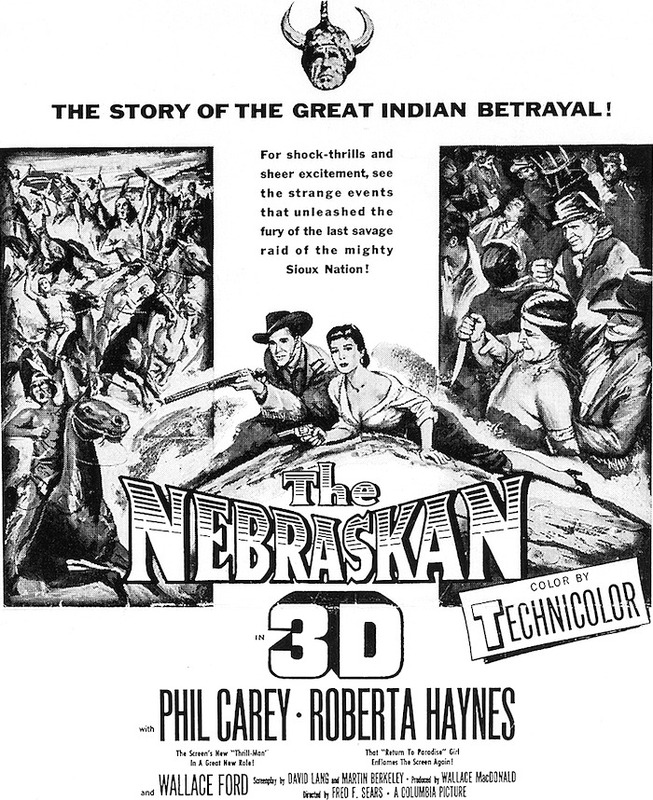 Nathan Juran, the director of Tumbleweed, started out as an art director. He made the transition to director with The Black Castle (1952). 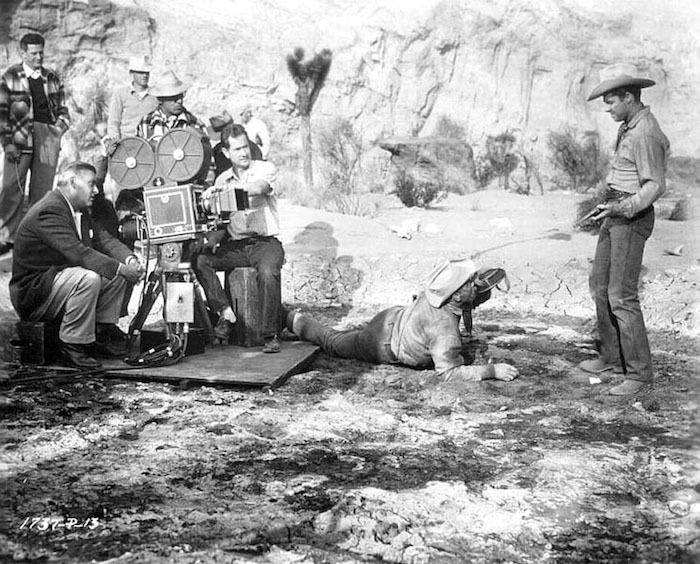 Russell Metty shot the film at Vasquez Rocks, Red Rock Canyon and Death Valley, and it looks great. 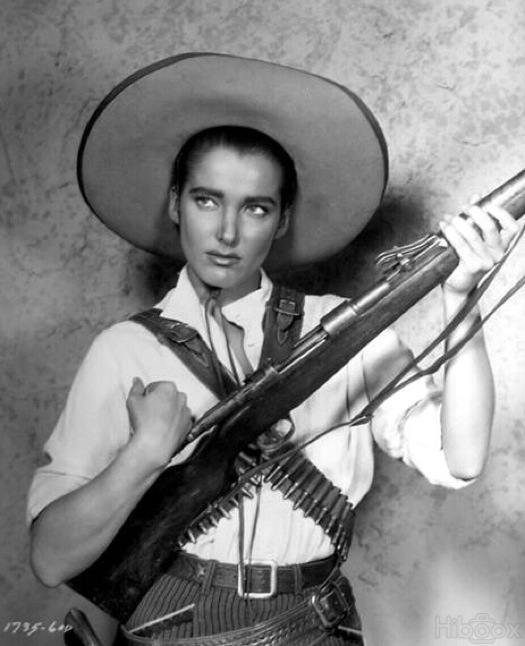 Metty also shot Touch Of Evil (1958), Spartacus (1960) and Madigan (1968). He doesn’t get his due, if you ask me. The cast is made up of some great character actors, many from U-I’s own roster. 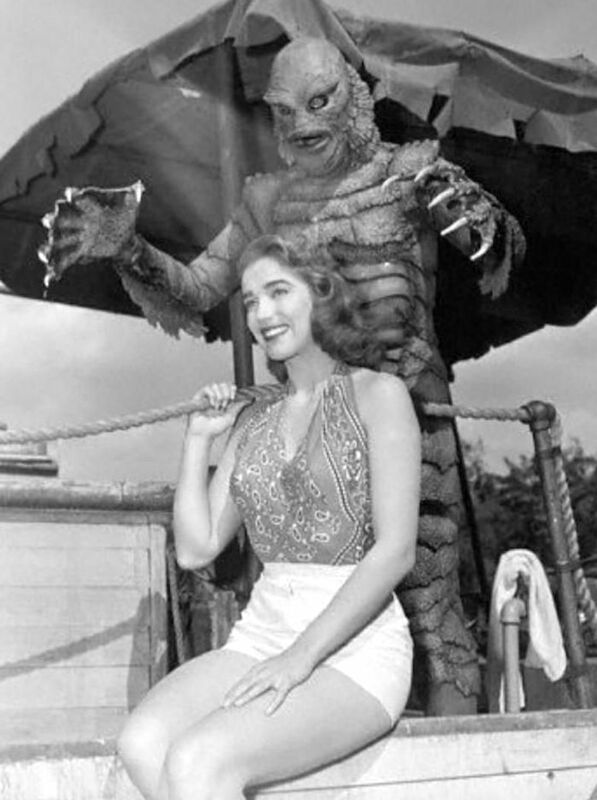 The lovely Lori Nelson had a good run at U-I — two Ma and Pa Kettle pictures, Bend Of The River (1952), a Francis movie, Revenge Of The Creature (1955) and more — before working at AIP on stuff like Day The World Ended and Hot Rod Girl (both 1956). 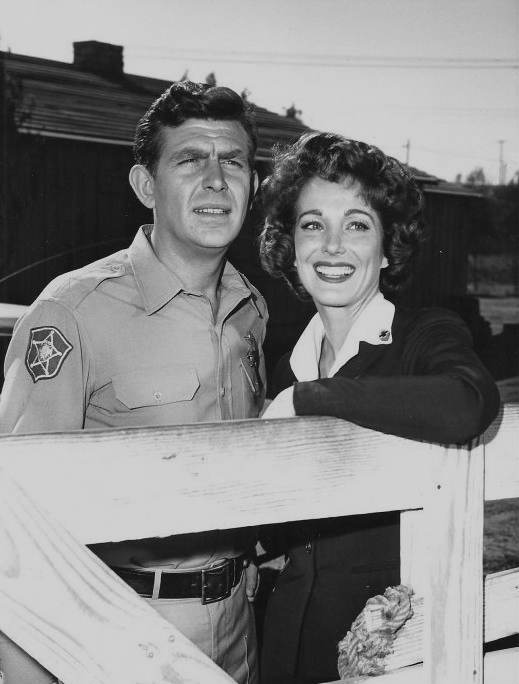 She’d work extensively on TV, with a guest spot in Audie Murphy’s series Whispering Smith. 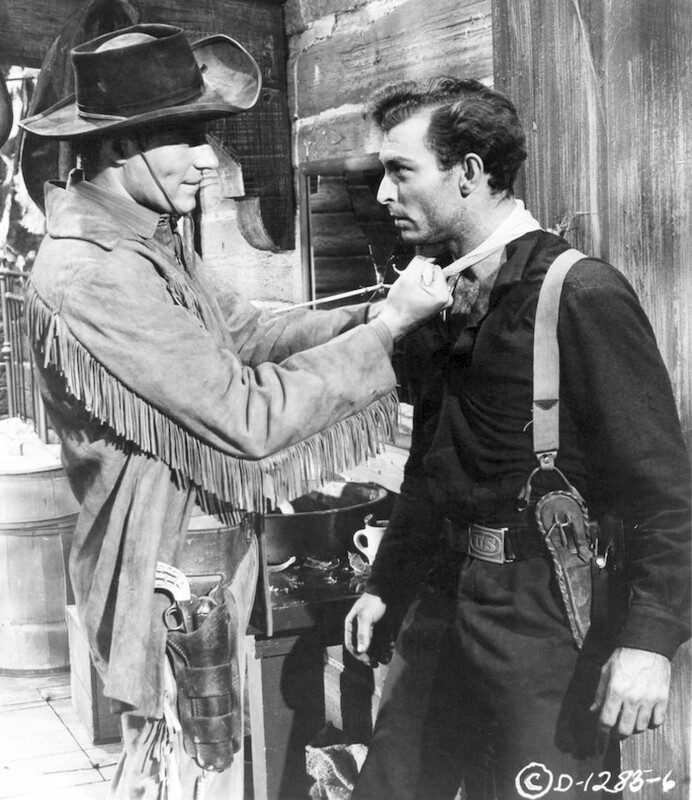 Lee Van Cleef is appropriately nasty as Marv. 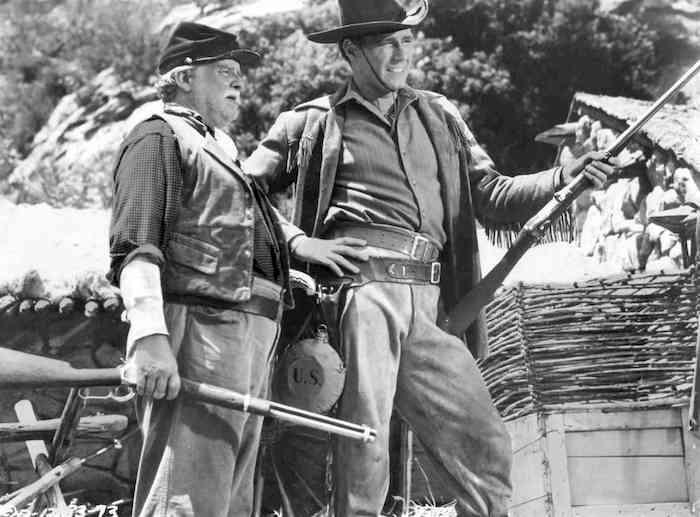 Roy Roberts is good as the rancher who comes to Murphy’s aide. And Russell Johnson has a terrific fight with Murphy in the last reel, running all over Vasquez Rocks. 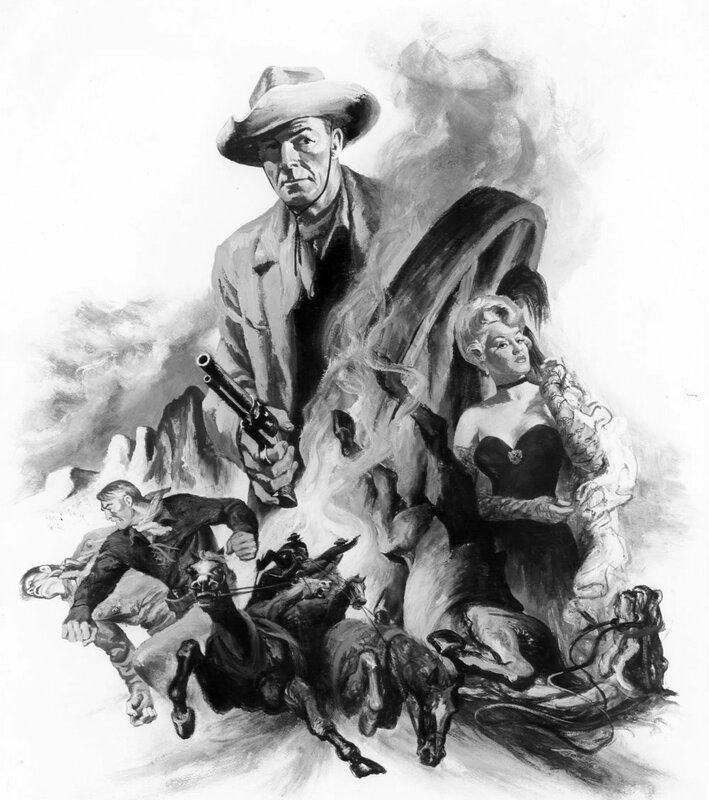 My only complaint would be Chill Wills, who I’ve never cared for. Of course, the strongest member of the supporting cast is Tumbleweed himself. He’s really something. 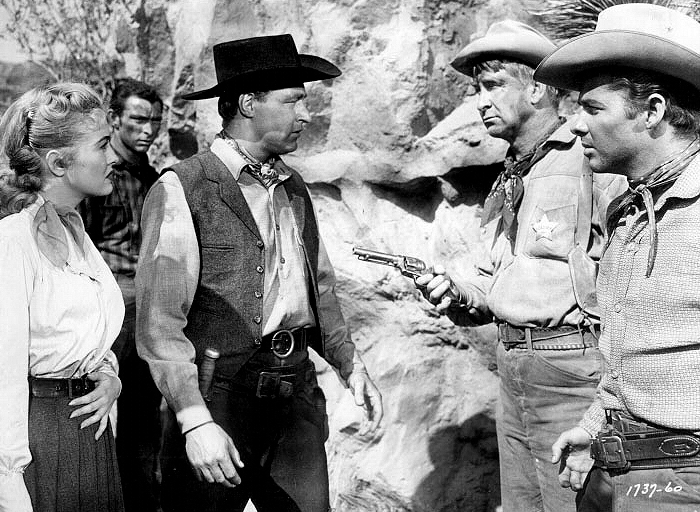 You can really see Audie Murphy coming into his own in Tumbleweed. 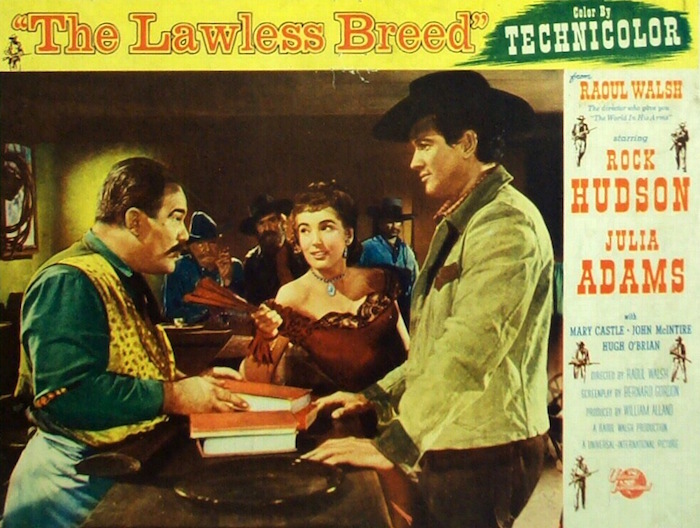 It’s a good 50s Western from Universal. And that’s about as good as it gets.